Liberation Maiden ($2.99) began as part of Level-5‘s Guild01 compilation, a collection of four downloadable Nintendo 3DS games made by some of Japan’s quirkiest and most innovative designers, including an RPG from Yasumi Matsuno (Final Fantasy series, Vagrant Story) and an airport-management game from Yoot Saito (SimTower, Seaman). Goichi Suda’s contribution is Liberation Maiden, a free-roaming, 3D shooter about a young woman who becomes president of New Japan, jumps in a mech named “Kamui," and throws off the yoke of some faceless oppressor called “the Dominion." Better known by his nom de guerre, Suda51 is distinguished by his surreal, tongue-in-cheek, ultra-violent third-person action games, but Liberation Maiden isn’t his first shoot-’em-up: that honor belongs to Sine Mora, a 2D horizontal shooter in which all the pilots are anthropomorphic bears. Liberation Maiden is more subdued fare than what we usually expect out of Suda, but the relatively standard anime-girl-in-a-mecha-suit motif is handled deftly in cutscenes by Bones, the animation studio most famous for Fullmetal Alchemist. Actually, the production is generally high across the board: the animations and 3D models look nice on the iPad 2, and the dialogue is all fully-voiced. This isn’t a pre-requisite for App Store success by any means, but it elevates the boilerplate premise a bit and indicates, at the very least, that Grasshopper Manufacture and Level-5 took the development, localization, and iOS porting of Liberation Maiden seriously. The game’s controls must be the collective futuristic mecha-elephant in the room: they’re generally functional, but not particularly elegant or intuitive: one finger steers the ship while another guides a reticule. It took me a fair bit of practice to get used to moving in three directions with one virtual joystick, but the controls dovetail nicely with the game’s multi-target lock-on mechanics, and diligent players should be dive-bombing and swooping between neon, Pepto-pink lasers in no time. 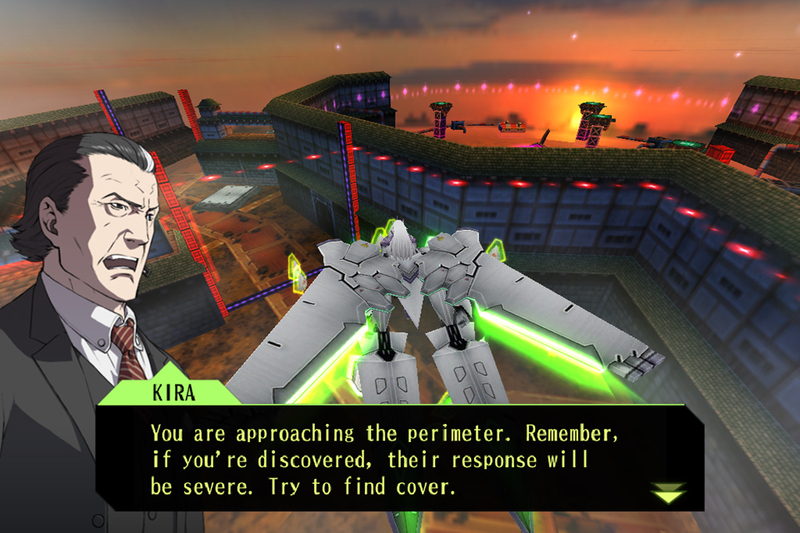 The third stage of Liberation Maiden includes a relatively painless stealth section, which speaks to the precision available to experienced players. Liberation Maiden is kind of short and structurally predictable, and that’s a shame: learning the controls and various interlocking mechanics takes time, but the game is cut down in its prime. A score attack mode and three difficulty levels mitigate this somewhat, but my first playthrough lacked a satisfying learning arc. It doesn’t help that each level feels kind of disjointed and haltingly paced thanks to frequent interruptions to inform me of changing objectives or new enemy types and whatnot. 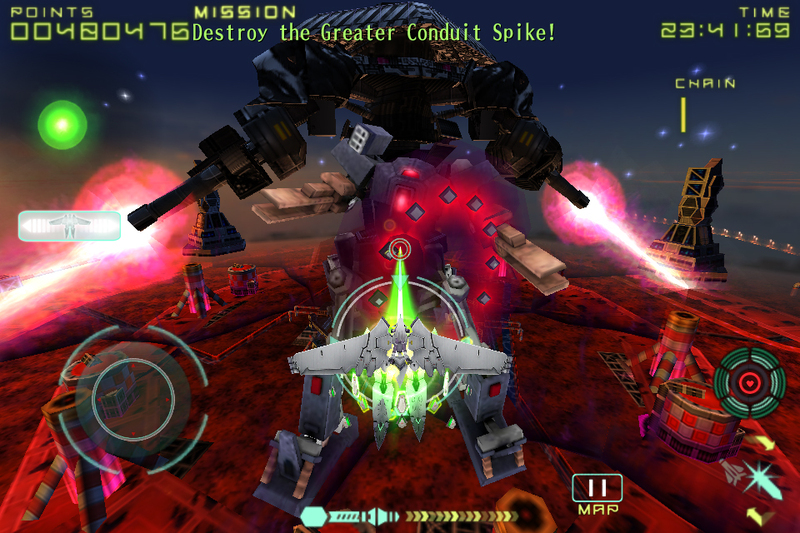 Each level features optional sub-missions depending on the difficulty level, and these are where Liberation Maiden shines. They typically involve searching for some unmarked enemy resource and destroying it. When the game’s rigid structure lets up a bit, it offers a fully explorable, open-world shooting range. Destroying enemy infrastructure — buildings, fuel depots, windmills — also “purifies" the surrounding area and gives the game a nice sense of consistency: blowing up train tracks isn’t as glamorous as driving a mech into an enemy’s reactor core (yes, this happens), but it ties into the game’s vaguely environmentalist theme. My favorite moments in Liberation Maiden happen when it allows me to explore and find things to do on my own in each level. Soaring over a mountain range to firebomb the supply trains you’ve been tracking all over the map, for example, feels more satisfying and more earned to me than taking down each level’s final boss. The boss encounters are well-designed, to be fair — they use the Kamui’s strafing mechanic really well — but the game forces me into these fights rather than letting me explore New Japan’s little nooks and crannies on my own. The mechanics themselves, while not particularly well-explained in the tutorial, are a tidy exercise in risk and reward: the Kamui is protected by shield nodes that double as ammunition for its missile and laser weapons. 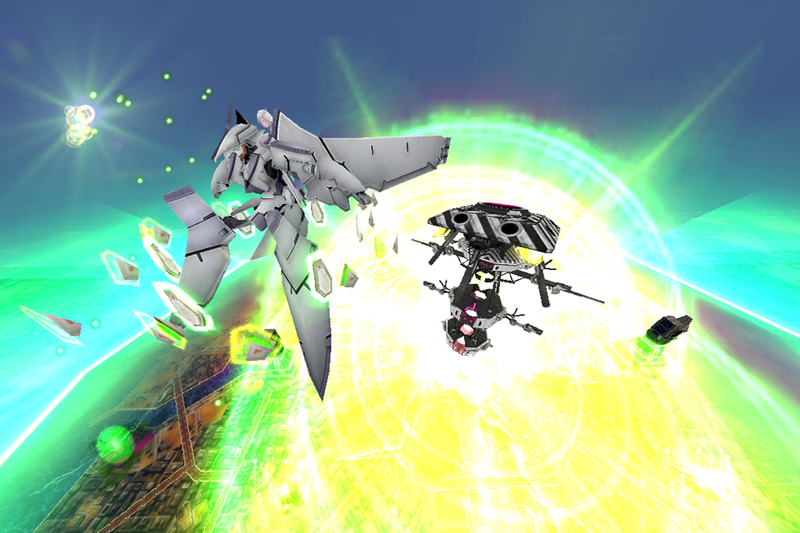 Locking onto multiple targets at once makes each fired missile more powerful, but it also drain’s the Kamui’s shields. The alternate weapon is a powerful laser that likewise drains shields and immobilizes the player’s mech, leaving it open for damage. A straightforward combo system regenerates shields, which creates a nice little loop: shooting enemies drains shields, but shooting lots of enemies in a row restores them. The system encourages mobility and dodging, and Liberation Maiden is at its best when the Kamui is shooting down enemy rockets, dodging bullets, and attacking as quickly as possible. It’s not a bullet hell-type of shooter by any means, but Liberation Maiden is frenetic without overwhelming the game’s delicate controls. There’s also a largely inconsequential scoring system feeding into Game Center leaderboards, but those interested will find another macro layer of Liberation Maiden‘s risk-vs.-reward sensibilities. High scores are based on kills, of course, but also how quickly a player can clear a given stage and how “pure" each city is. The trick to scoring high scores is therefore efficiency: purifying an area takes time, but can lead to huge boost in score. 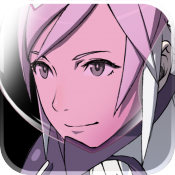 Even if you’re not interested in chasing high scores, Liberation Maiden is a full-hearted iOS port in a genre we don’t see much on the App Store, and Grasshopper Manufacture implemented its tricky control scheme with admirable grace, boosted by production values and attention to details. It’s a sharp, fast-paced romp and while its somewhat hampered by its diminutive length, there’s enough of Liberation Maiden to warrant attention. Bombs away.